Almost every internet user or magazine reader or even on when watching television you have come across some absolutely stunning photographs of surreal landscapes that just leave you in awe. Most of the time you would not believe that this was captured somewhere in the world you live in. The truth is that these picturesque images are captured by people who just happen to have the right tools for the job. A good DSLR camera and the right lens will create an image worth the wonder. Landscape photography captures nature’s spaces but also at times it moves attention to artificial features or disturbances of landscapes. Some of the reasons for landscape photography include an appreciation for the environment or emphasis on the conservation of the same. At times the muse is to capture nature with minimal human activity, highlighting its purity. Other times it is to recall a striking place visited or just to complement one’s outdoor lifestyle or as a keepsake from an adventure in the great outdoors. In this article are some of the most favored Canon lenses for landscape photography. With these lenses, you can be assured that your images will be worth recognition and serve their purpose to the fullest within the art of landscape photography. Along with a good camera best canon lens for landscape photography is also important. Canon lenses are divided into 3 that are a standard lens, wide angle lens and telephoto zoom lens. These different types’ canon lenses are all designed in a way to ensure quality in the output of any photography works. To have that amazing image it calls for great discernment when it comes to choosing the canon lens that you prefer to use. Ultimate commitment should be put on this course to avoid shoddy and less appealing work. Below we will look at some of the best canon lenses for landscape photography available in the market. With their detailed specifications, one will be able to make a sober decision before buying. The lens is made up of quality plastic and generally feels well built. It weighs 20.3 Oz/ 575g, measures 3.2 X 3.4’’ (81.6 X 87.5 mm), has a filter of 77mm and was rolled out in 2009. The lens is a bit on the pricey side and would be considered as an investment for those wanting to go pro or is already pros as it retails at $800. This lens delivers top-notch image quality over a wide focal length range. It has great AF. It mounts only on to EF-S compatible Canon bodies and in specific those with APS-C sized sensors that have a FOVCF of 1.6X. This means that when mounted on such a tripod, the lens’ focal length is extended to deliver a 35mm angle view equivalent to 24-136mm. The lens is thus wider than other lenses but still does not compromise on image quality. Being able to capture wider scenes and adding a greater sense of perspectives into photography makes it ideal for landscape photography. It is not a fast lens but has an excellent implementation of image stabilization that makes it best for the landscaping projects. At times with landscape photography, the circumstances surrounding the terrain intended to be captured may not be favorable for using tripods. For example, climbs to hilltops or boat rides are not suitable places to start setting up a tripod. Here the image stabilization on this lens saves the hustle and prevents eventualities. The lens is great in low light and is also reviewed as ideal for motionless objects which is basically what most landscapes are. However, one might need a good amount of light for stopping action. The lens has Super Spectra coating that minimizes flares that is what is normally the desired outcome when shooting landscapes. Has super spectra coating which reduces flare, ghosting and keeps in check contrast and colour balance. Has tripod detection and automatic swinging making it possible to shoot at any angle. Has a quiet and faster ultrasonic motor that enables you to use manual focus override fully without having to change to autofocus. It is made of plastic except for the glass and electronics. The lens physical description is 7.2 Oz/203 g, 0.82’ and 0.25m close focus with a 58mm filter. This lens’ major selling point is its affordability as a new one can be $250. It’s a standard/basic zoom lens. One of the features that make it suitable for landscape photography is the four-stop image stabilization. This feature enables handheld photography in low light conditions without a flash. This is super ideal for landscape photography especially if you are on the move. It is also lightweight making it easy to handle and carry. The images produced are super sharp for clear landscape photographs. Very light thus making it portable, just the right light while traveling. Has super-spectra coating that minimizes chromatic aberration. Fast and quiet autofocusing technology, to enhance proper shooting. Has efficient wide angle lens for cropping ensuring only the required details are maintained. This is a highly made lens that takes pride in giving perfection in optical works. It works well without in problems at most times thus producing improved and quality pictures. Despite its high price, quality is not compromised so you are able to get value for your money. Images produced by this lens are of great sharpness and very detailed. Just like other Canon lenses, it comes with features that contribute to the appealing images produced by them. Below are some of the features. Have excellent flagship lenses, to enhance proper photo shooting. Performs well in most of the situations, due to their sturdiness. Perfect lenses for those who like traveling. 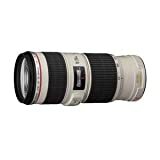 Canon EF 70-200MM f/4L USM Lens comes both with sufficient aperture and satisfactory portability for those photographers who are always on the move. For those who like taking pictures while on hikes, this might just be the best lens to use. In harsh lightings, the detachable polarizing filter ensures shooting is efficient without any glare. Most importantly, nothing happens to the lens while taking these photographs. This lens can withstand dust, moisture, and constant use. Besides it owns an ultrasonic motor which ensures the lens to focus quickly on capturing moments like for instance mountain peaks via the clouds or when the sun is setting. Landscape images are very amazing and thus you require the best lens in order to capture this great work. Has an improved coating from spectra which minimizes flare and does away with ghosting, also improves contrast and maintains color balance. Another canon lens with improved features is Canon EF 70-200mm f/4 IS USM lens. It ensures quality in landscape photography. Sharp and detailed images are taken always. Due to its sturdy lens, it can withstand harsh conditions while traveling. Quality optical, leading to the production of nice images. Very portable, since one can easily move with them from one place to another. Efficient focus and stabilization of image. Spectra coating to prevent chromatic aberrations. These are lenses that come either with wide angle lens, standard or telephoto zoom lenses alongside with improved apertures, ensuring that they work towards giving quality images. They work effectively in landscape photography and might just be what you need. Does the market offer a variety of Canon lenses? Yes, the market offers a wide range of Canon lenses that you are supposed to choose from. All come with different specifications that are supposed to satisfy the different customers. They all ensure that great output is ensured. What is the cost of canon lenses? Canon lenses come at different prices. The beauty about them is that they do not compromise quality. Their different designs work towards ensuring quality output of photography. You can check the different prices at Amazon to find out more about the prices of these lenses. What are wide angle lens canon lenses? These are lenses wide angle lens with improved apertures, allowing them to be able to frame a point of interest while maintaining sharp background. Besides they give provision of focusing on the picture and making the horizon seem further away. What are standard canon lenses? The standard lens gives you more focus when taking images of landscapes. It gives provision to cropping images just to leave specific details. You are able to go on with taking images without having to change lenses. What are telephoto zoom canon lenses for landscape? This one helps in the creation of distance between the one viewing the object and the object. Efficient in giving detailed photos. Where can these canon lenses are purchased? These lenses are found on Amazon. You can access the Amazon website and get these products with their prices attached to them. While there you can make an informed decision on which lens works best for you. 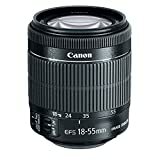 What should be considered before purchasing canon lens? The zoom, price, and sturdiness of any lens should be considered before purchasing. This is to ensure that after buying the quality of images is not compromised at any cost. Are canon lenses the best? Canon lenses come with exceptional features which make them stand out from the rest. So they stand a chance of being the best lenses that are available in the market. Landscape photography requires a lot of work in order to excel in it. Just getting the right image of an object on camera requires a lot of art. So the camera that one has to decide on should be very effective and efficient to do this job. Having the correct lenses is very crucial so that to capture every fine detail of the object. 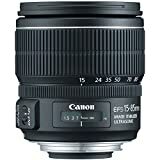 Best Canon lens for landscape photography seems to solve this problem just as we have seen in the few examples named above. They come with efficient features that ensure great output is delivered no matter the conditions one is working from. The process of getting the right canon lens is not a walk in the park. One has to really discern and come up with the right specifications. These specifications have to coincide with the canon lens you want to purchase. With that comes the joy of getting just that lens that you require. You also realized that Canon lens is not cheap. But their quality justifies these high prices attached to them. One is able to get value for the money used. So the price should not scare you away but always concentrate on the output. But with these lenses, the person handling them has to be skilled. This just ensures that there is better handling of these lenses. With no shadow of a doubt, they require special treatment so that to avoid breakage. Besides they have to be operated in a special way. So skill in operating them is very key. Malfunctions will be dealt with, completely. Basically, intense training to those who own these lenses is very important. Just make sure you follow the manual after purchasing. So in your journey of photography, desire to have a taste of canon lenses they have too much to offer. Somehow they might just be what you have been missing to make you successful in your photography. Come out and inquire about these special lenses, look at how they work and come up with the best decision. The Five Best Lenses for Fashion Photography On The Market!